When choosing a probiotic food or supplement, we usually go for established household names such as Lactobacillus acidophilus or Bifidobacterium longum to boost our general sense of wellbeing. But did you know that Streptococcus thermophilus is one of earliest isolated and most beneficial such bacteria available on the market nowadays? The issue of probiotic ‘fame’ is disputable since it is based on a number of factors such as regional accessibility, overall qualities, and the degree to which nutritional studies have focused on that particular strain up until that moment. In the case of Streptococcus thermophilus, it will become very clear further on why it has not reached the limelight exposure already enjoyed by some of its bacterial counterparts – that is, despite its equally advantageous qualities. In order to correctly understand Streptococcus thermophilus and its contribution to human welfare, we must first turn back and see what probiotics actually are and how they work inside the body, to begin with. First off, these ‘good’ or ‘friendly’ microorganisms can be found throughout the length of the gastrointestinal tract, as well as within the urogenital system and as an active component of breast milk. By creating a symbiotic relationship with their respective environment, probiotics are able to thrive in colonies (by adhering to the local mucosa) and promote improved digestion, regular bowel motility, and proper nutrient absorption at the level of the stomach, small intestine, and colon. In addition, they exhibit powerful antiseptic characteristics which combat the formation of pathogen overgrowths that might otherwise lead to cavities, intestinal disturbances, genital infections, etc. Most commonly, probiotics represent a natural component of your body’s makeup because they are transferred from the mother to the newborn baby via (natural) birth. Nevertheless, certain diets and stress can negatively impact the number of CFUs (colony forming units) present in your gut, with external supplementation becoming necessary in order to restore this internal balance. Probiotics are therefore a frequent occurrence in unpasteurized dairy as a result of their strong fermentative capacities, which transform milk sugars into lactic acid. From buttermilk and kefir to yogurt and cheeses such as Gouda and Mozzarella, probiotics can be encountered as an organic starter culture and flavor booster alike. A similar situation is that of fermented vegetables, with brine bases (water with a high salt concentration) being the ideal environment for the development of numerous types of ‘friendly’ microorganisms. Aside from the popular choices of pickles, sauerkraut, and olives, the international food market has started accommodating probiotic-filled options like Kimchi (spicy veggies), Umeboshi plums, Natto (fermented soybeans), Kombucha tea, etc. As previously mentioned, pasteurization is often required by commercialization policies that regulate consumer safety practices. This process eliminates probiotics alongside ‘bad’ bacteria and thus diminishes the health benefits of your regular dietary regime. In order to ensure you are getting an optimal probiotic intake, make sure you stay on the lookout for dairy and fermented products which have been infused with probiotic post-pasteurization and include these into your day-to-day eating habits. Other selections containing probiotic organisms include sourdough bread, beer, wine, cured meats, and even certain brands of dark chocolate. 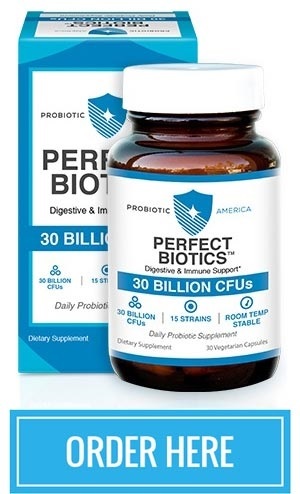 Of course, there is also the alternative of probiotic supplements that can really satisfy your needs in terms of microorganism potency (measured in millions or billions of CFUs), strain blends, and price-quality ratio. Having explored the basics of probiotics, it is now time to turn our attention to Streptococcus thermophilus. This probiotic element was first isolated within the first years of the 20th century, during the same time frame when Elie Metchnikoff (one of the most prominent pioneers of this domain) started popularizing the importance of ‘good’ bacteria consumption for digestive, immune, and life-prolongation purposes as well. Streptococcus thermophilus is a non-motile, fermentative, and facultative aerobe probiotic, meaning that it does not ‘travel’ within the human body, it can kick-start fermentative processes and has the ability to survive in a deoxygenated medium without suffering any damage to its biological structure. 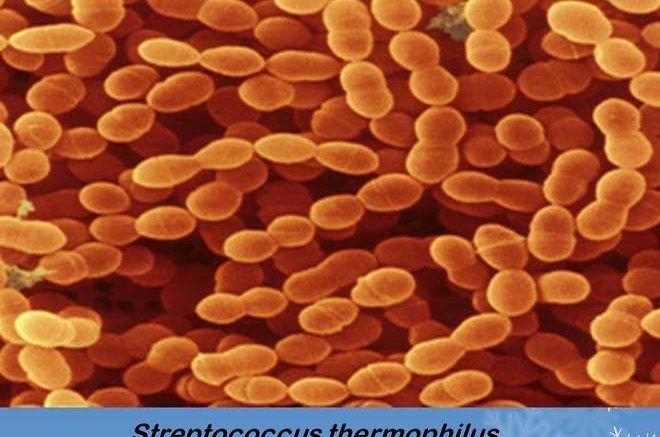 Streptococcus thermophilus can also be found under the name of Streptococcus salivarius subsp. thermophilus. The second part of its denomination refers to this organism’s capacity to withstand higher temperatures and their fluctuations, properties which render it as a particularly resistant probiotic. Streptococcus thermophilus is also classified as a lactic acid microorganism, meaning that it can trigger carbohydrate decomposition in milk-based products and generate a higher production of lactic acid. Consequently, dairy manufacturers usually pair this probiotic with Lactobacillus bulgaricus in light of their symbiotic relation which accelerates the fermentation and maturation activities of various dairy products (for instance, cheese and yogurt). Even so, many shy away from purchasing a food item containing the word ‘Streptococcus’ on the label. 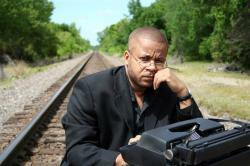 But is this a justified fear? Yes and no. Part of the negative fame surrounding this bacterium is owed to the fact that, indeed, only certain Streptococcus strains can be rightfully regarded as being ‘pro-life’ organisms – such as Streptococcus thermophilus and Streptococcus salivarius, for example. The other categories belonging to the Streptococcus genus are otherwise responsible for a number of serious health threats including severe throat infections (Streptococcus pyogenes) and pneumonia (Streptococcus pneumoniae). The only circumstances in which you should avoid probiotic supplementation – Streptococcus thermophilus included – is when you are experiencing a compromised immune system (since it can lead to sepsis), particular digestive problems (short-bowel syndrome, leaky gut syndrome, etc.) or if you are undergoing extensive medical treatments requiring prescription drugs (antidepressants, immunosuppressants, etc.). The good news is that nutritionists have cleared Streptococcus thermophilus as a safe probiotic for general usage and consumption. Currently, this microorganism is actually one of the most widespread bacteria used in the U.S.A. for the production of both dairy and supplements. How can Streptococcus thermophilus boost your overall health? One major advantage brought forth by Streptococcus thermophilus is that of improved gastrointestinal rhythms. Probiotics generally exhibit positive digestive activities inside the gut, from accelerated food decomposition and substance assimilation to increased bowel motility and prolonged abdominal comfort. 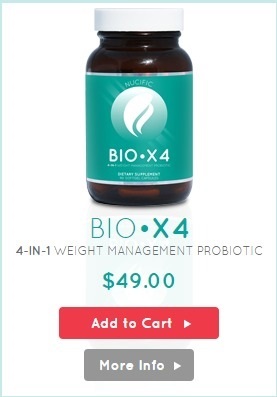 Since this probiotic can actively survive gastrointestinal passage, it can promote full intestinal wellbeing without being destroyed by factors such as gastric acid or bile. In the case of Streptococcus thermophilus, studies have also revealed that thriving colonies of this microorganism used in a VSL-3 combination (namely alongside other probiotics like Bifidobacterium longum, Lactobacillus plantarum, Lactobacillus paracasei, etc.) can significantly improve the symptoms and intensity of IBS (irritable bowel syndrome) and functional diarrhea episodes. The same improvement can be observed in the case of lactose intolerance, which Streptococcus thermophilus aids meliorate by facilitating milk digestion (via lactic acid) and diminishing the intensity of this sensitivity in certain individuals. Another important aspect to take into consideration related to Streptococcus thermophilus is its immunomodulatory capacities, especially regarding pathogens that negatively impact the gastrointestinal tract throughout its length and the urogenital system too. Up to 70% of a person’s immune protection resides within the small intestine and colon, where probiotic colonies fight against viruses, fungi, and parasites by inhibiting their overgrowth and increasing the organism’s natural antiseptic mechanisms (hydrogen peroxide, for example). Streptococcus thermophilus is therefore able to reduce gut inflammation, decrease pathogen activity, and increase overall comfort over longer periods of time. Research focused on the gut microbiota of small children showed that infants who benefited from a stable Streptococcus thermophilus supplementation regime experienced fewer occurrences of rotavirus diarrhea. The same probiotic exhibited more than promising results in the case of Escherichia coli infections that otherwise cause a number of unwanted side effects if left untreated (fever, bloody diarrhea, vomiting, dehydration, etc.). As for UTIs and genital issues, it can be certainly agreed that Streptococcus thermophilus inhibits the development of Candida colonies and hence maintains local microbiota within optimal readings. Moreover, Streptococcus thermophilus can be employed as a balancing instrument in the case of prolonged antibiotic treatments. This sort of medicine is frequently utilized nowadays to combat diseases caused by pathogens of all kinds, the downside being that antibiotics kill both ‘bad’ and ‘good’ bacteria at the same time, which results in short-term (yet intense) intestinal issues involving visceral pain and irregular bowel movements. Luckily, Streptococcus thermophilus enhancement has been demonstrated to shorten and ameliorate severe diarrhea episodes associated with antibiotics, as well as prevent it entirely if administered to children from an early age (6 months upwards). Other benefits of having thriving Streptococcus thermophilus colonies inside your gut are better skin (with visibly reduced signs of aging), fewer manifestations of Clostridium difficile infections, and significantly improved cardiovascular health. Where can you find Streptococcus thermophilus? The most straightforward way of acquiring a good Streptococcus thermophilus enhancement is that of dairy products. As mentioned before, this strain is a very popular choice among U.S. dairy companies when producing natural yogurts and other milk-derived varieties. These are either distributed locally (Stonyfield, for instance) or internationally (such as Dannon’s Activia line). Most often than not, you will find Streptococcus thermophilus in a combination with other probiotic strains like Lactobacillus acidophilus, Lactobacillus bulgaricus, and Bifidobacterium lactis. This is done by manufacturers in order to maximize the fermentative and digestive advantages of each individual probiotic type. Additionally, Streptococcus thermophilus is employed in the maturation stages of reduced-fat cheeses (such as Cheddar). This probiotic allows the product in question to have the same texture and flavor as regular cheese, but with a considerably reduced fat content on an overall level. Again, be sure to check for dairy brands which explicitly add Streptococcus thermophilus after pasteurization or skip this latter procedure entirely for a full probiotic experience. Despite its rather peculiar name and sometimes contradictory public ‘image’, Streptococcus thermophilus has the ability to constitute a highly beneficial and safe probiotic microorganism for almost anybody these days. The fact that it can be found in numerous dairy products and high-quality supplements is also an added bonus in this sense because they only testify to the probiotic’s value not only as a starter culture but also as a health booster for your body and mind alike. By trying out a Streptococcus thermophilus item of your choice – whether it is a food or dietary enhancer – you are actively contributing to your general wellness from the inside out in an organic, affordable, and – why not – even enjoyable manner. After all, it’s not a normal part of your gut for nothing! Be the first to comment on "Streptococcus Thermophilus | Benefits & Side Effects"